Philosophy has been always received or bypassed for its resonance or aloofness with the spirit of the time. Should not philosophy/phenomenology of life be expected to do more to ascertain its validity? Should it not pass the pragmatic test, that is to respond directly to the life-concerns of its time? What is the role of the philosopher and philosophy today? Due to the ever-advancing scientific, technological, social and cultural changes that are shaping human life and the life-world-in-transformation, we are desperately seeking a measure to estimate life's unfolding, a compass to stir the course between Scylla and Charibda to maintain human-hood and creative insight for laying the cornerstones for the unforeseeable unfolding of life dynamisms. It is this challenge which philosophy/phenomenology of life meets with underlying ontopoietic unraveling of the hidden logoic concatenations of beingness-in-becoming. The present collection of essays offers contributions to answer this challenge by focusing upon measure, sharing-in-life, intersubjectivity and communication, societal equilibrium, education, and more. It will be of great interest to those working in the fields of Phenomenology, Philosophy, History of Philosophy, and Contemporary Philosophy. Acknowledgements. Theme: Ontopoiesis Of Life And The Call For Measure; A-T. Tymieniecka. Section I: Phenomenologists' Vocation in The World. 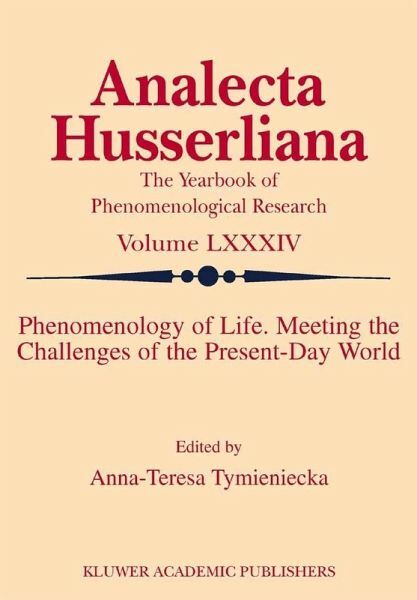 'Phenomenology Of Life' As Chance For Philosophy's Transformation Into A New Humanism; C. Cozma. The Meaning Of Life Vis-à-Vis The Challenges Of The Present-Day World; D. Grünberg. The Transcendental-Phenomenological Meaning of the Notion Of 'Experience' In E. Husserl And J. Dewey's Philosophy; P. Kurenkova, Y. Plekhanov, L Rogacheva. Section II: The Role Of The Philosopher Continued. Husserl's Mission of Sovereignty of Thought in the Light in the Light Of his 'Briefwechsel'; J. Sivak. 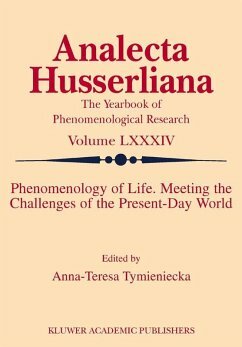 The Task Of Philosophy And The Significance Of the Vocation Of The Philosopher For Human Life In Husserl's Phenomenological Analysis; N. Ghigi. Towards A Phenomenology Of CourageousWilling; J. Wattles. Becoming Phenomenology: Style, Poetic Texture, And The Pragmatic Turn In Gilles Deleuze And Michel Serres; Ming-Qian Ma. Section III: Sharing-in-Life. How Can We Be Together: Intersubjectivity And Communication; E. Buceniece. A Critique Of The Polarity In Edmund Husserl's Intersubjectivity Theory; C. Okoro. Lived Words: The Phenomenology Of Poetry Experienced; M. Itkonen. Existence And Communication: Challenge Of The Times; V. Vevere. The Existence Of Other Egos And The Philosophy Of Moral Sentiments; H. Turan. Section IV: Ecological Concern and Their Groundwork in The Unity-Of-Everything-There-Is-Alive. The Beingness Of Living Beings In Anna-Teresa Tymieniecka's Philosophy; Z. Ikere. On The Idea of Environment; A. Sol. The Meaning Of Life: A Topological Approach; N. Milkov. EpistemologicalRelativism As A Challenge To Life Sciences - Do We still need Universals? A. Antonites. Meeting One's Death in Arcadia; H. Scolnicov. Section V: Ciphering Life; From Theory To Practice. The Objectifization Of Time In The Obsessive World; M.L. Rovaletti. Phenomenology, Linguistic Intentionality, Affectivity And Villemoes' New Therapy For Schizophrenics; W. Ver Eecke, R. Cobb-Stevens. Section VI: Further Excavating Of The 'Conception' Of The 'Life-World'. Phenomenological Hyletics And The Life-World; A. Ales Bello. 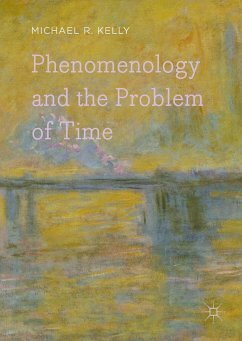 Phenomenology, The Life-World And The Human Condition; K. Rokstad. Transcendence And The Human Condition:Reflections On Kant, Heidegger And Levinas; E. Çirakman. L'enchantement du corps chez Nietzsche et Husserl; A. Beaulieu. To Being Or Not To Being? That Is The Question For Ethics; W.C. Hamblet. Section VII: Search For A Deeper Social Equilibrium. Imre Kertesz in The 21st Century: Phenomenological Approaches To Philosophical Distortions And Social Violence; J.T. Airaudi. Phänomenologie der Gewalt. Eine Problemskizze; M. Staudigl. Twentieth century Italian Painting Against The Nihilist Drift Of European Thought; P. Trupia. On Guises, Concepts And Related Topics; A. Akinci. Curriculum And Aims Of The Primary School Science; K. Selvi. The Orator Does Not Think Before, Nor Even While Speaking: His Speech Is His Thought; E.C. Wait. Education Amidst A Cultural Crisis: A Theoretical Comparison Of An Emerging Contemplative Pedagogy With An Ending Of Cognitive Priorities In Current Education; W. van Groenou. Index.